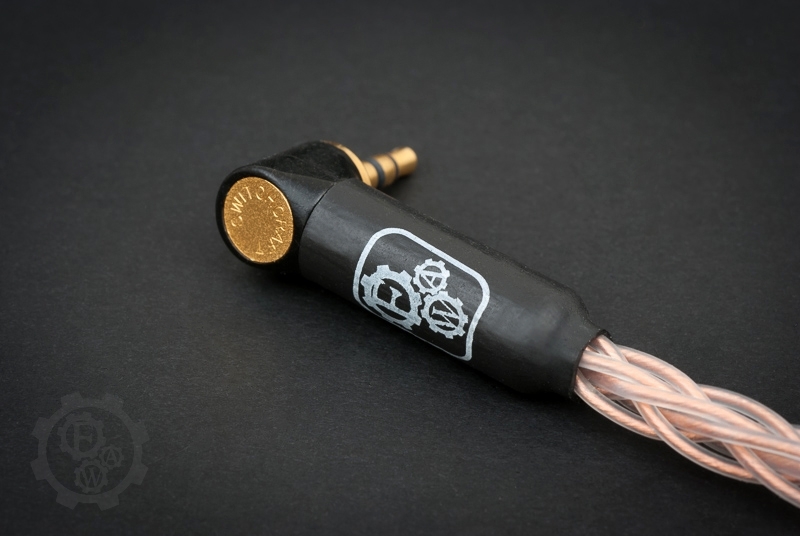 FAW Claire ICL cable incorporating FAW 7N Cryo OCC copper with 8-braid geometry for short connections between portable source (DACs) and amps. Made for low profile setups. Short, mini jack to mini jack cable for high-end portable setups, designed as a replacement for flimsy stock cables often limiting the SQ potential of DAC/AMP combo. It is made especially for setups, where the portability factor is the most important aspect. Terminated by heavy duty, gold plated, L-shaped Switchcraft mini jacks. 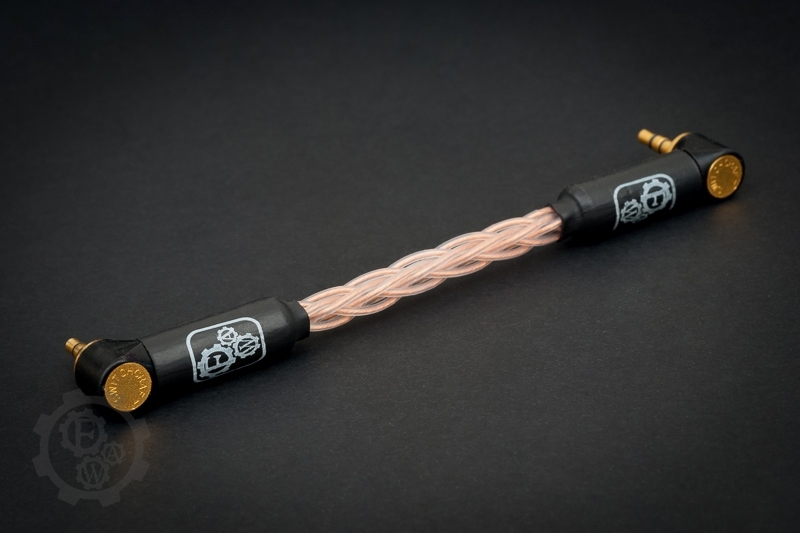 All Claire cables are carefully hand braided using 8-strands of FAW 7N (99,99999%) OCC Cryo copper wire for best in class sound quality and supreme EMI reduction. Thanks to highly flexible braiding and custom formulated type of PE insulation they are perfectly suitable even for portable setups. They offer balanced sound reproduction with excellent dynamics pushing sound quality to the next level, while maintaining the natural sound signature. Forza AudioWorks Claire cables are 100% handmade in Poland by qualified staff only. Thanks to strict quality control and careful selection of components, we are proud to cover every our product by 2-years warranty. We offer broad selection of options, though if you do not find any specific – just send us an email. We will be happy to provide you with the one perfectly suitable for you. To preserve the natural state of environment and reduce our footprint we use only Cardas lead-free solder and eco-friendly packaging made of fully biodegradable cardboard and ecological cotton.